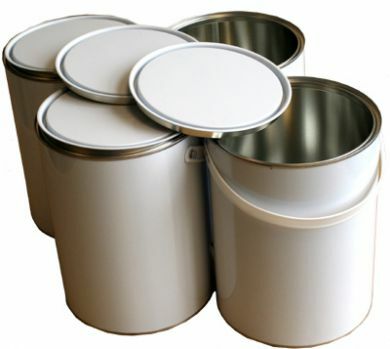 5 Litre (1.1 Gallon) White external and Plain internal Lever Lid Tin with a handle complete with lids sold in boxed quantities of 4. Lever Lid Tins are also available in pallet quantity. Please contact us for details of pallets delivery cost.